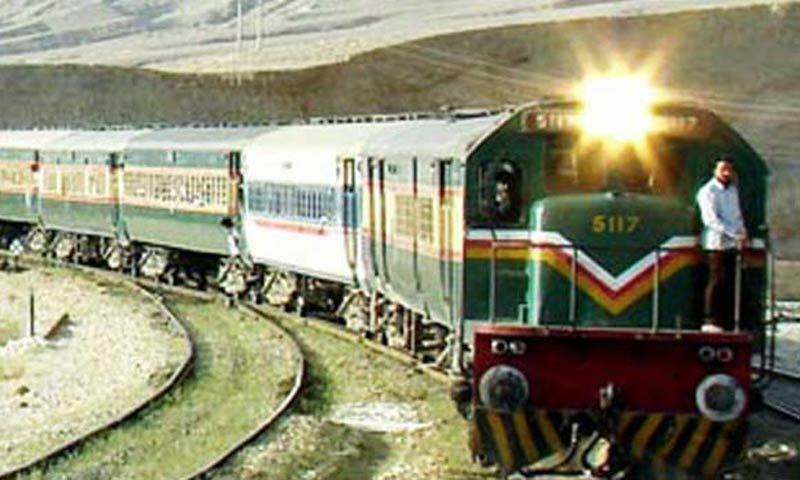 At least 10 people lost their lives in Kashmor district on Tuesday when Khushhal Khan Khattak Express, travelling from Karachi to Peshawar, slammed into an overloaded rickshaw carrying 15 passengers, Radio Pak reported. According to eyewitnesses, the incident occurred this afternoon at an intersection located between the Haibat Shaheed and Kandh Kot railway stations. Of the 15 people riding the speeding rickshaw, 10 people died on the spot while the others received severe injuries. The injured were rushed to a nearby hospital for medical attention. A spokesperson from Pakistan Railways said that incidents like these occur because railway crossings do not have gates attached to them. "The provincial government is responsible for attaching these gates," the spokesperson said, adding that people crossing such areas are always told that they should look both ways before crossing railway intersections. Railways Minister Sheikh Rashid Ahmed expressed sorrow at the incident and formed an inquiry committee to look into the matter. The committee has been directed to provide a report on the matter as soon as possible. 15 people riding rickshaw. How..? Sad for the poor who lost their lives due to negligence of Rickshaw driver. This is not the first time it has happened. I hope opposition will not throw blame on Rashid. 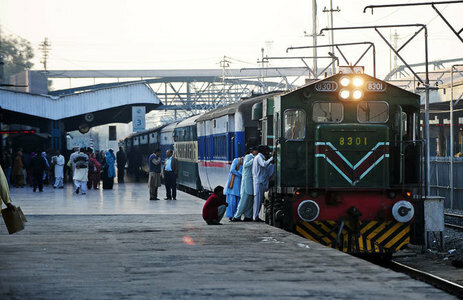 In Pakistan people crossing railway lines are always in a hurry well knowing that train is approaching. Imran Khan used to demand the resignation of Railway minister during PMLN's tenure on any such incident. Let us see if he will do the same this time. There are few countries on earth today having unmanned railways crossings, Pak is one. This is not the first time, earlier similiar accidents occurred, and each time an inquiry report is sought. Since the responsibility lies on SindhGovt it must act fast and instal gates at all such unmanned crossings. This is a sad commentary on the bad management and lack of relevant policy on the part of the Railway authorities as well as the interior ministry. How come there are no gates on dangerous crossings. Now-a-days, the gates can be controlled by push buttons from miles. Furthermore, how come the rickshaw driver had 15 passengers and the police did not notice it! Aren't there any rules that the taxi and rickshaw drivers are supposed to follow? Shaikh Rashid should take moral responsibility for this accident. Gate keeper should be responsible of railways. Sheikh Rasheed are you mad? Is this the first time such an incident has happened that only now you are setting up a committee to investigate? What about the previous dozens of similar incidents? Why haven't the gates been installed so far? Looking forward to Shaikh Rashid resignation, someone remind him this is 'Naya Pakistan' where minister's resigns !! Why unmanned railway crossings? There was no concept of unmanned railway crossings during the British period, when Railways was first introduced. Clearly all gates and equipment to control gates have been uprooted and sold to foundries by the corrupt railway mafia minting money at the expense of dying railway and people on railway crossings denuded of the gates. @NACParis if Imran asked for Saad Rafuque’s resignation when an accident happened, why would the opposition not blame Rashid? Sauce for the goose, sauce for the gander. @Hedonist after two months? What about the people who were governing for the past 10 years? Sheikh Shib, stop smoking cigars and do something about Railways. They should shutdown railways if they cannot put gates. So, many people unemployed and you can easily employ them or put automatic gates. But railways, airlines are joke in Pakistan. 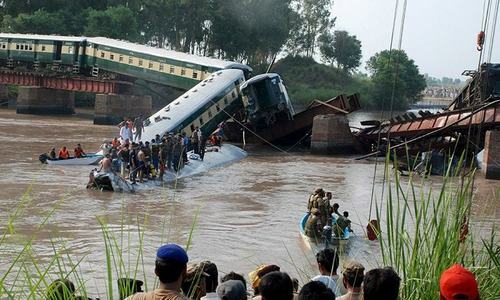 Railways is federal chapter Sheikh Rashid sb, don't blame provincial governments for this gross negligence. "Committee to investigate" means "nothing will be done". Did train topple down or not?